Strike it lucky with your favorite Bingo games at Wink Bingo! Bonus T&C : New UK players only. Valid until 16.12.18. Deposit with code & spend min £10 to get 200% Games Bonus & 200% Bingo Bonus (max £100 per bonus) & 1 retailer voucher. 5,000 vouchers of varying amounts for various retailers are available. Once supply of the 5,000 vouchers ends, an alternative prize of a £5 voucher for few selected retailers will be awarded. Vouchers are subject to third party suppliers’ terms. Bonus wins capped at £100, exc. jp win. Bonuses must be claimed within 7 days of grant. To withdraw bingo bonus & related wins, wager 2x the amount of deposit + bonus funds. To withdraw games bonus & related wins, wager 50x the amount of instant bonus funds (wagering req. vary by game). Deposit balance can be withdrawn at any time. Further Further T&Cs apply. Uh oh! It seems Wink Bingo is not available in United States. Find Similar options below. 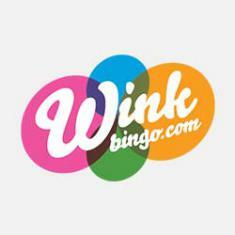 We give you an access to the latest offers from Wink Bingo! Login daily at Wink Bingo to claim rewards, free spins, bingo tickets & more! Bonus T&C : Funded players only. Valid until 23:59 GMT each day. Opt-in daily to a 'Challenge', Complete the challenge & earn a Bingo/Games Bonus (£1), 20 Bingo Tickets [BT] or 5-10 Free Spins [FS]. Prizes must be claimed within 3 days of grant. FS & BT valid for 7 days once claimed. FS wins granted in bonus & capped at £2-£4 (depending on FS). To withdraw bingo bonus & related wins, wager 2x the deposit + bonus amount. To withdraw games bonus & related wins, wager 50x the bonus amount. Bonus wins are capped at £100, exc. jp wins. Wagering reqs vary by game. Deposit can be withdrawn at any time. Withdrawal restrictions & Further T&Cs apply. One of the leading bingo sites,Wink Bingo was established in 2008 and is wholly owned by 888 Holdings. The site has won several awards including Bingoport Players Choice Award and Best Online Bingo Operator. Wink Bingo is licensed and regulated by the Great Britain Gambling Commission under the provisions of UK Gambling Act 2005 and powered by Dragonfish Software providing the players with an incredible gaming experience. Tested by eCOGRA, this bingo brand also ensures a fair game play to the players. It is a platform for playing online bingo with impressive jackpots and promotional offers. Wink Bingo not only provide the players with online bingo games but also renders its services for a number of slot games and numerous Casino games. Pounds Sterling (£), US Dollars ($) and Euros (€). United States of America, Turkey, Israel, Spain, France, Italy, Denmark, Belgium, Gibraltar and Antigua. Play your favorites from bingo anywhere and anytime with Wink Bingo mobile app, supported by tablets, android, windows and ios devices. All Bingo enthusiasts get to play 90 balls, 75balls, 80 balls Bingo and numerous Slot games with guaranteed jackpots at Wink Bingo mobile app. You can simply commence your play at any of the devices either by downloading the Wink app or signing up with the site directly through the web browser. Also, the mobile users get to enjoy a free game every Sunday. play at any of the devices either by downloading the Wink app or signing up with the site directly through the web browser. Also, the mobile users get to enjoy a free game every Sunday. Wink Bingo does not offer the service of live dealers. Wink Bingo is powered by Dragonfish Software and provides a dynamic game content to some of the biggest Bingo sites. •Dragonfish was established in 2007 and is licensed in multiple jurisdictions. •Responsible Gaming is an important attribute of the software. •It provides 24/7 assistance to the players. •The software focuses on providing an outstanding gaming experience to the players. Wink Bingo bestows its love upon the bingo fans by providing them with a wide array of games. Players get to enjoy variants including 90, 75 and 80 balls bingo and several free games at Wink Bingo. The site also offers amazing free games available in 90 balls and 75 balls bingo categorized as New Players zone i.e for new players; Loyal Player zone for established players and Free for all zone for all the players. These free games let you strike daily jackpots ranging from £20 to £1000. Henceforth, Wink Bingo could be the place for all Bingo lovers for an unparalleled gaming experience. Your play at Wink Bingo can get you 370% up to £200 welcome bonus. All you need to do is, register yourself at the site and make a minimum deposit of £10 or more. The best thing about these bonuses is that it has no termination date and you can enjoy the benefits of such bonuses by just being a part of the Bingo room. You can gather up to £900 in bingo bonuses at Wink Bingo's Newbies Room by just registering yourself at Wink Bingo. Yes! No deposit is required for grabbing the bonus, mere registration can make you earn the exciting reward. All the players who have registered themselves at Wink Bingo in last 3 days and loves playing 75 Balls Bingo can avail this offer and be a part of an incredible gaming experience. Grab enticing bonuses at Wink Bingo by using the code SPIN, everytime you make a deposit. With every code, you will unlock a spin on the Wink wheel which can get you multiple bingo bonuses, bingo tickets, free spins and games bonuses. You can win up to 200% in bonus and free spins. The excitement does not ends here, as using the code SPIN every Friday, Saturday and Sunday can get you even larger bonuses. If you are a die hard Bingo fan and love playing bingo anywhere and everywhere, sign up at Wink Bingo and be a part of the amazing promotional offers it has in store for you. You can grab exciting and meaty bonuses daily through the ongoing promotions like Wink's World Tour, The Unwind, The Stack Up, Freebies, TGI Payday £3000 and a few more. Wink Bingo reward the players with impressive loyalty points in order to bestow its loyalty upon the players. You get to receive these loyalty points whenever you purchase bingo cards or win in the bingo chat games. You may then convert the loyalty points into bonus funds. Wink Bingo offer existing players with exclusive bonuses and benefits. These players are rewarded with special birthday treats, spellbinding holiday packages, invitations to VIP events and exclusive chances to win real money prizes and amazing gifts for being loyal to the Bingo room. VIP Program at Wink Bingo includes Joy Gem VIP Club and Weekly VIP Bonus. You must select your gaming device before starting your journey at Wink Bingo. You can choose either your desktop screen, tablet, android device, windows or an ios device to begin your play at. Once you have visited the site or downloaded the app, you must register yourself at Wink Bingo by entering the required details. You can register yourself by clicking on the 'Join Now' option at Wink Bingo. Post creating an account, it is mandatory to make a deposit for continuing at the site. Wink Bingo accepts a minimum deposit of £10 and offers amazing welcome bonus after the first deposit. Once you are done with the above mentioned steps, the only thing you are left to do is to enjoy your game play and strike the riches with your favorite Bingo games. It's been 2 month since I signed up with Wink Bingo and ever since I am enjoying every bit of it. They've got some entertaining Bingo rooms and fantastic Slots games. People here are very friendly, supportive and quick with response. I started by making a deposit of £10, claimed their Welcome Package and have managed to grow this amount of £10 into hundreds in a very short span of time. Awaiting my millions kind of a win now!!! Please enter your review for the Wink Bingo.